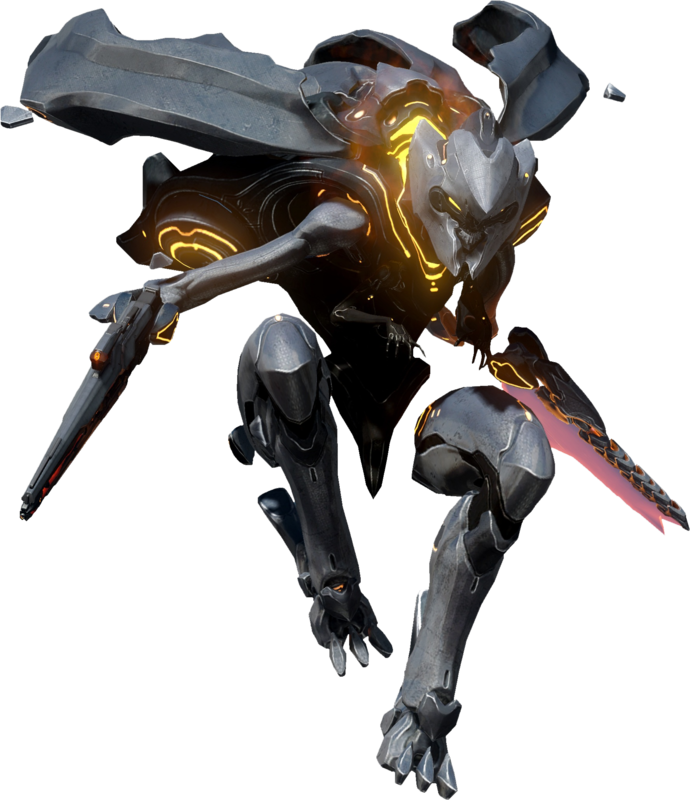 Trying to punch two Promethean Knights to death in Halo 5 Guardians is never going to end well. Believe me, I found out the hard way. Two of these guys kicked my Spartan arse several times in Halo 5. 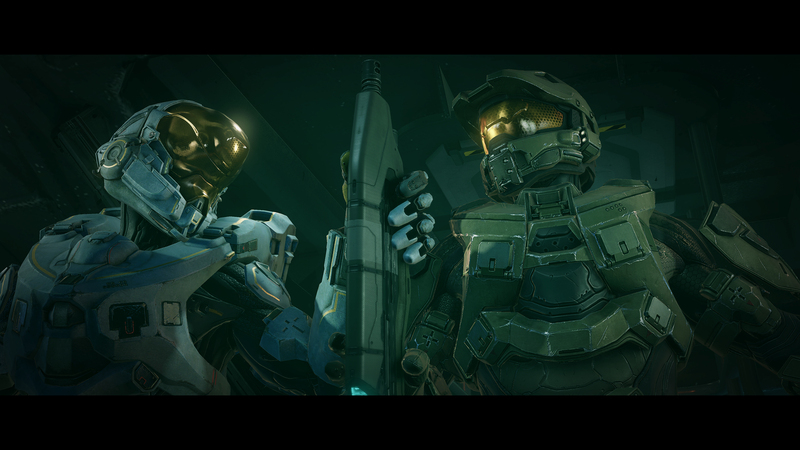 It was in the closing battle of Halo 5’s campaign when things went terribly wrong. Finding myself suddenly surrounded by two advancing Knights, the incredibly tough Promethean mechanised warrior, I realised that both my weapons were out of ammo and, sadly for me, there were no discarded weapons nearby to pick up. I had two choices: Run or punch them in the face. So that’s what I did. I punched them. What was I thinking? Probably that my augmented Spartan punches would crack the Knights carapaces, exposing their vulnerable AI core inside. So, how do you think it went? It went as well as could be expected. Meaning it didn’t go well at all and I was knocked to the ground, my life force draining from my tired Spartan body. Thankfully, one of my squad mates was close enough to revive me (that’s one of the new features in Halo 5) and, some how, I managed to sprint clear of the area, find some fully loaded Promethean weapons (I love the boltshot) before delivering swift, sweet justice to the Kinghts. It was frantic and full-on. Master Chief: Ready to Rock. Now, I’m not a Halo player who knows the canon off by heart and can recite it word for word. I don’t know all the weapon stats and what works best in certain situations. I also found some of the earlier Halo games a little boring at times. Sorry, but I did. I enjoyed Halo 4, though, and really, really enjoyed Halo 5. 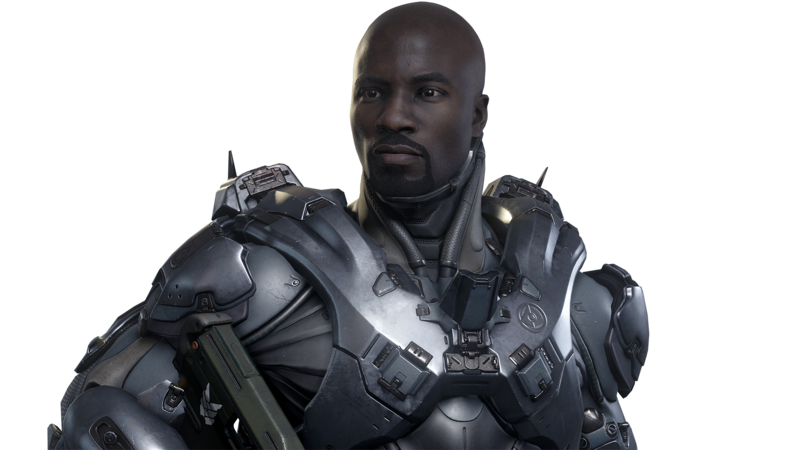 Guardians lets players take the role of two protagonists: Master Chief and Spartan Jameson Locke. It’s two heroes for the price of one game. Each man is supported by three other Spartans. Throughout the length of the campaign you swap between Master Chief and Locke as you take on the Covenant and the Prometheans, which first appeared in Halo 4. I won’t dwell on Halo 5’s story for fear of, well, spoiling things for people but it deals with Locke hunting Master Chief, who has seemingly, gone AWOL. Go get him, soldier! You’re squad mates are a competent most of the time (other times I bled out because their pathfinding proved difficult getting to me). They’ll provide cover fire, distract larger enemies and in the case of Edward Buck (who has now been promoted to Spartan after his fine work in Halo Reach) provides a wise crack or three (He also promises to buy everyone a drink at one point). The one thing I wouldn’t trust Buck with is driving: During one level, he seemed to just want to drive up rocks or take the long way home. I did feel strange having three companions with the Master Chief, though. I’ve always felt the Master Chief was a lone wolf figure, taking on foes single-handedly, so it took a while to get used having three limpets (sorry, companions) but when the going gets tough, it’s great to have a helping hand. Like when you’re facing off against large groups of enemies or, say, two Hunters..
Graphically, Halo 5 looks nice with some impressive set-pieces and varied locations but – and I may be in the minority here – it didn’t blow me away visually all the time. I guess 343 Industries was always going to face a tough battle when it came to the look of Halo 5 given how good Halo 4 looked on the 360. Don’t get me wrong, when you stumble across scenes with a lot of action going on and vehicles flying all over the place and lasers everywhere, it looks great. The frame rate remains rock solid at 60 frames a second most of the time, which was impressive given how many enemies can be on-screen at one time, and its in-game cinematics are fantastic, with great looking character models and atmospheric lighting. Gameplay is the tried and true that Halo veterans will know but if you’re after something revolutionary, look somewhere else: You won’t find it here. I also felt that the closing missions suffered too much from repetition and rinse-and-repeat game play. The finale disappointed me a little, too. I was expecting something a little more epic. With Halo 4, 343 laid the ground work for what it could do with the series. With Halo 5, it has shown it knows how to respect the franchise and has created a game that, for me, was one of the most enjoyable of the series, even if the campaign has a few missteps near the end and it left a lot of questions. The bottom line is that Halo 5 Guardians is a great game that will fuel your inner Spartan but where the franchise is heading to from here I’ve no idea. It’s clear from the ending that there are more stories to tell, but whether Master Chief is a part of those, I’m not sure. He is getting on, isn’t he? Plus, I may have counted wrong, but I’m pretty sure you play more missions as Locke than as Master Chief. That might mean something. I guess we’ll find out in Halo 6. Note: I haven’t tried out the multiplayer of Halo 5 Guardians in real-world conditions yet, just what I’ve played at a preview event a few weeks ago. I’ll update the review with my thoughts on MP play when I can join some games. I’m also keen to play throught the game in co-op.